Bright and early this morning, I'd like to introduce Rachel and Miranda and their brand, Ever After Polish--Rachel creates all the polish and Miranda makes all the bath and body products. Quite a team, right?! My first taste of Ever After's polishes came in the form of their gorgeous contribution to the Spread Indie Love Box---you can find that review HERE. Ever since then, I've been really excited for this feature and they've been great to work with--enthusiastic and accomodating! 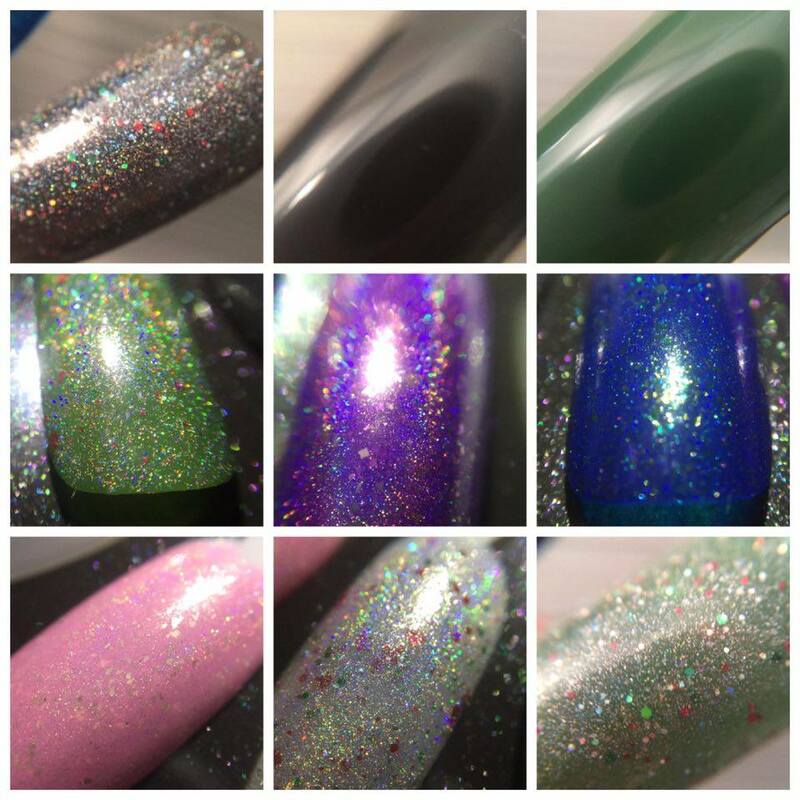 For this week's giveaway, TWO very lucky winners will win their Tis the season to sparkle winter 2015 collection (pictured below), a cuticle crelli and a mani crumble. Plus, if you follow us on Instagram (HERE and HERE) you have ANOTHER chance to win! THREE winners total! Good luck, my darlings! I love Twinkle All the Way!! OMG, I totally messed up putting my contact info in, and I can't seem to edit it! It should be lvitsa_ at hotmail. Clumsy fingers! Twinkle All The Way...which is surprising since I don't usually love glitter. Another fantastic giveaway! I really like Baby It's Cold Outside, which is crazy because I don't go for blues like that! I also really like Twinkle All The Way, gimme all the sparkles! I love the black polish. It's absolutely gorgeous! I like the "Naughty list". To be honest I really like them all!